Craig Thorstenson concentrates his practice in the litigation of employment disputes and providing related counseling. His experience includes defending numerous WARN Act, FLSA and Title VII class actions, prosecuting and defending actions over restrictive covenants, and handling complex labor arbitrations. He regularly acts as "in-house" employment counsel for several companies that elect to outsource their employment work. Craig also provides day-to-day, proactive and common sense counseling to employers on every aspect of the employer-employee relationship. In conjunction with counseling, he conducts targeted client training for human resources professionals and company managers, including training on LGBT issues. 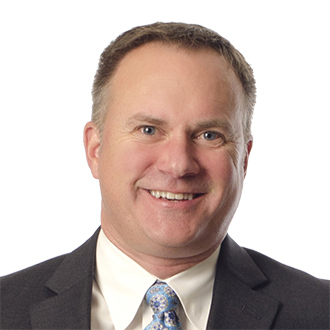 Earlier in his career, Craig formed a partnership specializing in employment discrimination, primarily from the plaintiff's side, an experience that gives him a unique perspective when counseling and litigating. Craig is a member of FordHarrison's Executive Committee, is the Executive Committee liaison for the firm's offices in New York, New Jersey, Hartford and the Upper Midwest, and serves as the Managing Partner of the firm's Chicago office. Represented Modine Manufacturing in Embry v. Modine, obtaining a verdict for the client in one of the first Family and Medical Leave Act lawsuits to go to a jury. He continues to regularly defend FMLA actions, most recently including Kemp v. Northwestern Memorial Hospital (N.D. Illinois), Maestro v. Northwestern Memorial Hospital (N.D. Illinois), Boasiako v. Northwestern Memorial Hospital (N.D. Illinois), Renner v. CDW Corporation (D. Minnesota), and Bucsanyi v. NTA Precision Axle Corporation (N.D. Illinois). Defending Shiftgig, Inc. and The Bullpen, Inc. in a class action under the Illinois Day Labor and Temporary Services Act (Circuit Court Cook County, Illinois).